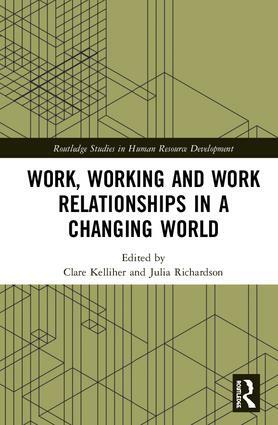 This book is concerned with the rapid and varied changes in the nature of work and work relationships which have taken place in recent years. While technological innovation has been a key contributor to the nature and pace of change, other social and market trends have also played a part such as increasing workforce diversity, enhanced competition and greater global integration. Responding to these trends alongside cost pressures and the need for continued responsiveness to the environment, organizations have changed the way in which work is organized. There have also been shifts in product markets with growing demand for authenticity and refinement of the customer experience which has further implications for how work is organized and enacted. At the same time, employees have sought changes in their work arrangements in order to help them achieve a more satisfactory relationship between their work and non-work lives. Many have also taken increased responsibility for managing their own work opportunities, moving away from dependency on a single employer. The implications of these significant and widespread changes are the central focus of this book and in particular the implications for workers, managers, and organizations. It brings together contributions from an international team of renowned management scholars who explore the opportunities and challenges presented by technological and digital innovation, consumer, social and organizational change. Drawing on empirical evidence from Europe, North America and Australia, Work, Working and Work Relationships in a Changing World considers new forms of service work, technologically enabled work and independent professionals to provide in-depth insight into work experiences in the 21st Century. Chapter 1: Work, working and work relationships in a changing world. Part 1: Career opportunities and experiences in the contemporary and future labour market: a double-edged sword? Chapter 4: Working as an independent professional: Career choice or the only option? Clare Kelliher is Professor of Work and Organisation at Cranfield School of Management, UK. Julia Richardson is Professor of Human Resource Management at Curtin Business School, Curtin University, Australia.